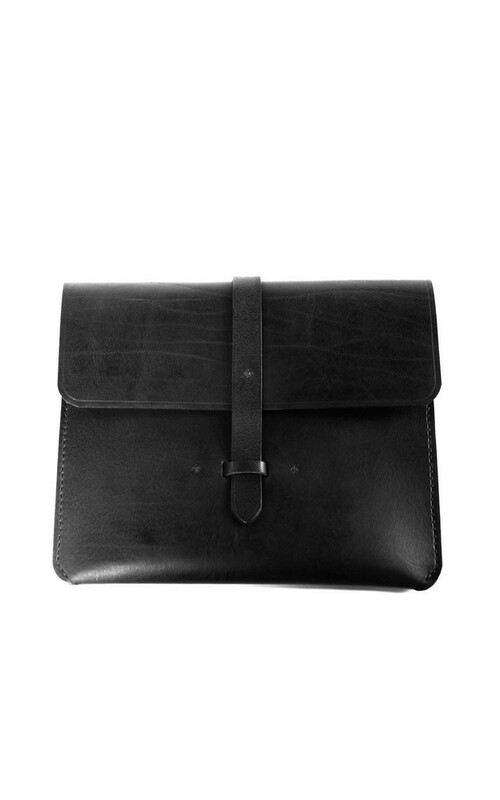 Leather satchel style case with fold over flap and strap detail. Made to fit the standard iPad this sleeve is lovingly cut and stitched by hand with waxed thread.. The thickness of the leather and raw interior gives fantastic protection and the strap holds it securely in place. Can be used as bag or tablet case. Care: Each piece is treated with Carnauba Cream for extra protection. Leather will wear and soften however, we believe this will only improve the product and make it your own.